Brian and Jolene spent 3 days fishing with us. These are the pics they sent from their day at Long Meadow. Can you ID all the species they landed at Long Meadow? 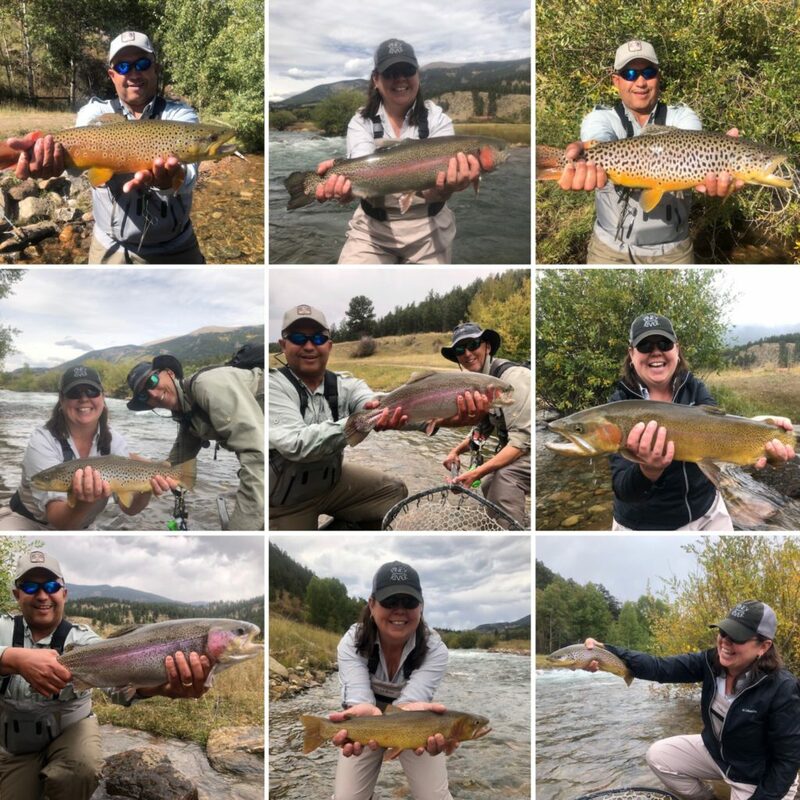 (Their 2 days at Boxwood were just as great including a Boxwood Grand Slam of 7 species)Their guide, Tom, representing 5280 Angler, put them on the fish in 400 cfs of water. Congrats to all involved in a very memorable outing.